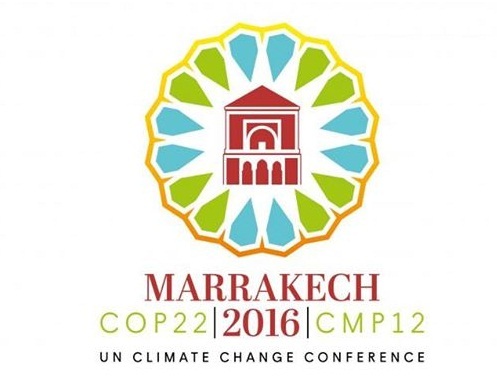 The 12 day Global Climate conference will begin on 7.11.2016 in the Moroccan city of Marrakech. The 22nd session of the Conference of the Parties (COP 22) and the 12th session of the Conference of the Parties serving as the meeting of the Parties to the Kyoto Protocol (CMP 12) will be held in Bab Ighli, Marrakech, Morocco from 7-18 November 2016. In the conference, delegates will deliberate on the details of implementing the Paris deal, such as drafting rules for how to measure and report emissions as well as the financial contributions meant to help poor countries deal with climate change. Under the Paris deal, the Obama administration pledged to reduce US greenhouse gas emissions by 26-28 percent below 2005 levels by 2025. But US Republicans are opposed to the deal, saying it will harm the US economy. India will push the agenda of sustainable lifestyle at the conference. The Environment Ministry said in a statement that the importance of sustainable lifestyle anchored for the first time in the climate change agreement was a big victory for India. It said, India has always followed a path of sustainable lifestyle which is based on the principle of need-based consumption. The Ministry also said, India will push for operationalisation and meaningful outcomes from the new bodies set up under the Paris agreement which includes technology framework and Paris committee on capacity building. The United Nations Climate Change Conferences are yearly conferences held in the framework of the United Nations Framework Convention on Climate Change(UNFCCC). They serve as the formal meeting of the UNFCCC Parties (Conference of the Parties, COP) to assess progress in dealing with climate change, and beginning in the mid-1990s, to negotiate the Kyoto Protocol to establish legally binding obligations for developed countries to reduce their greenhouse gas emissions. From 2005 the Conferences have also served as the "Conference of the Parties Serving as the Meeting of Parties to the Kyoto Protocol" (CMP); also parties to the Convention that are not parties to the Protocol can participate in Protocol-related meetings as observers. From 2011 the meetings have also been used to negotiate the Paris Agreement as part of the Durban platform activities until its conclusion in 2015, which created a general path towards climate action. The first UN Climate Change Conference was held in 1995 in Berlin.